Rain, rain go away! Come again another day! Well, if the weather hasn't been sunny, at least my mailbox has. 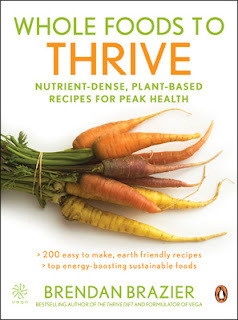 In Whole Foods to Thrive bestselling author Brendan Brazier builds upon the stress-reducing, energy-boosting nutritional philosophy introduced in his acclaimed bestseller The Thrive Diet. With 200 new, innovative, delicious, and easy-to-make recipes that are allergen-free, containing no wheat, yeast, gluten, soy, dairy, or corn, Whole Foods to Thrive includes recipe contributions (all made in line with Brendan's nutritional philosophy) from world-renowned chefs such as Tal Ronnen and Jamie Oliver. A rural idyll: that's what Catherine Parkstone is seeking when she sells her house in England and moves to a tiny hamlet in the Cévennes mountains. Divorced and with her children grown, she is free to make a new start, and set up in business as a seamstress. But this is a harsh and lonely place when you're no longer just on holiday, and Catherine finds herself with unexpected battles to fight. French bureaucracy, the mountain weather, the reserve of her neighbours - and most unsettling of all, her own fascination with the intriguing Patrick Castagnol. Laura, a twentysomething American, is on her first trip to Italy. She’s completely enamored of the art, beauty, and, of course, food that Rome has to offer. Soon she’s enamored of the handsome and charming Tomasso, too, who tells her he’s a chef at the famed Templi restaurant and proceeds to woo her with his gastronomic creations. But Tomasso hasn’t been entirely truthful—he’s really just a waiter. The master chef behind the tantalizing meals is his talented but shy friend Bruno, who loves Laura from afar. 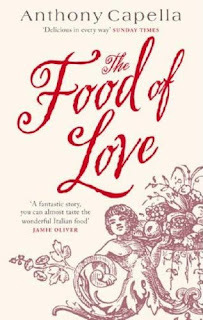 Thus begins a classic comedy of errors full of romance, culinary magic, and the sensual atmosphere of Italy. 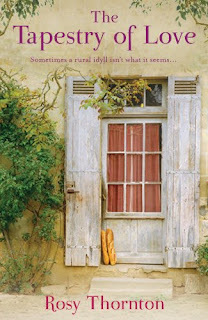 The result is a delightful debut novel to be savored by all readers of romantic comedy, connoisseurs of armchair travel, and the ever-growing audience for writings about food. Nice mailbox! Christy English was just here but I missed her event. I heard it was great, though. Enjoy your new books! To Be Queen looks good! And I'm glad you're going to read Tapestry of Love...it was so enjoyable. The tapestry of love is one that I really want to read! I actually got a bit jealous when I saw Tapestry of Love on your list! Congrats on the win! 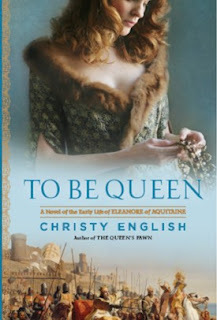 I received To Be Queen in last week's mailbox and practically had to slap my Not-So-Bebe-Girl Autumn's hand to keep her from snatching it before I get a chance to read and review it! Enjoy the reads! The Whole Foods book interests me as we have changed how we eat since my mom has been staying with us. I have The Tapestry of Love here to read also. I hear we are in for a treat with that one. I have The Tapestry of Love, too, and I can't wait to read it. Enjoy all your new books! These books sound like a nice week of reading. Tapestry of Love is getting some really positive reviews. To Be Queen was in my mailbox too! I really liked The Tapestry of Love - hope you enjoy it.